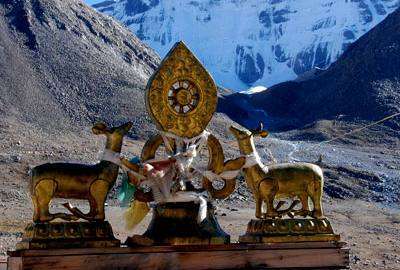 Lhasa Namtso Lake Tour starts with scenic flight over the Himalaya, after the memorable Lhasa Tour we head to Namtso Lake, meaning heavenly lake, is located in a mountainous area about 60km, northwest of Damxiong County.The Lake extents 70km. from east to west. and 30km. from south to north, covering an area of 1,920 sq km. and altitude of 4748m above sea level. It is the biggest lake in Tibet and the second biggest salt lake in China as well as the highest lake in the world. Namtso Lake is one of the three holy lakes in Tibet, playing an important role among Tibetans. Every sheep year in Tibetan calendar, the Trekking Namtso Lake Festival is held and countless pilgrims from far away visit the Lake to pay homage. Tibet, a place for the traveler to cast away any preconceptions you may have and join in the journey of discovery along the way at least for a while. We have designed a several tours to suit of interests although we are always open to create new ideas and respect your suggestion. Day 01 :Join Kathmandu 13 Arrive in Kathmandu and you will be received by our company representative and transferred to the selected hotel. And a short brief about your trip. Stay overnight in hotel in Kathmandu. Day 02 :City sightseeing in Kathmandu Full day Sightseeing in UNESCO listed historical sites such as Kathmandu Durbar Square, Boudhanath, Swayambhunath(monkey temple), and Pashupatinath in Kathmandu Valley with experience Tour Guide by private car/van, Stay overnight in Hotel. Day 03 :Arrival in Lhasa Our local Tibetan guide will wait you at Lhasa airport or railway station holding your name sign. You will be greeted with a warm Tashidelek(meaning hello with blissing), and be presented with a white Hada(traditional Tibetan ceremonial by give you a white scarf). Then transfer to hotel in Lhasa city. To rest well on your first arrival in Lhasa(3650m) is essential to ease Acute Mountain Sickness(AMS, also known as altitude sickness). Try your best to resist the temptation of going out. Day 04 :Lhasa Sightseeing in Potala Palace, Jokhang Temple, Barkhor Street, Tibetan Thangka Studio, O/N in Lhasa Potala Palace: Lhasa’s cardinal landmark, Potala Palace is one of the great wonders of world architecture. As has been the case with centuries of Pilgrims before you, the first sight of the fortress-like structure will be a magical moment that you will remember for a long time. Entry to Potala is up two steep access ramps that will soon leave you wheezing in the oxygen-depleted air. Travel light and not to worry abt your water supplies for there are bottled mineral water for sell all along the way up to the top of Potala. Jokang Temple: also known in Tibetan as the Tsuglhakhang, Jokhang Temple is the most revered religious structure in Tibet. Thick with yak butter, the murmur of mantras and the shuffling of wide-eyed pilgrims, Jokhang is an unrivalled Tibetan experience. In front of the entrance to Jokhang is a forecourt that is perpetually crowded with pilgrims polishing the flagstones with their prostrations. Barkhor Street: Barkhor is a quadrangle of streets that surroungs the Jokhang complex. 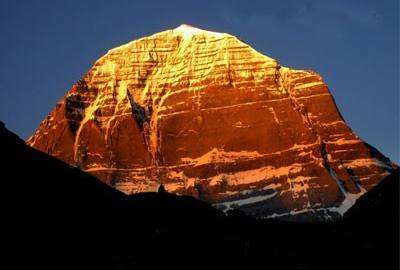 It is an area unrivalled in Tibet for its fascinating combination of sacred significance and push-and shove market economics. 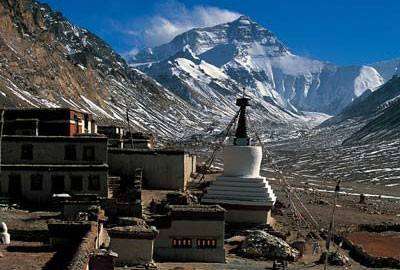 This is both the spiritual heart of the Holy City & the main shopping district for Tibetans. Tibetan Thangka Studio: Thangka is a painting on silk with embroidery, usually depicting a Buddhist deity, scene, or mandala of some sort. The thankga is not a flat creation like an oil painting or acrylic painting but consists of a picture panel which is painted or embroidered over which a textile is mounted and then over which is laid a cover, usually silk. Generally, thangkas last a very long time and retain much of their lustre. Day 05 :Lhasa Sightseeing (Tour of the most important monasteries in Tibet) O/N in Lhasa Drak Yerpa: for those with an interest in Tibetan Buddhism, Drak Yerpa(4885m), abt 16km northeast of Lhasa, is one of the holiest cave retreats in Ü of Tibet. Among the many ascetics who have sojourned here are Guru Rinpoche and Atisha(Jowo-je), the Bengali Buddhist who spent 12 years proselytizing in Tibet. 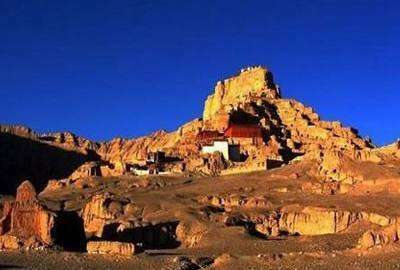 King Songtse Gampo also medicated in a cave, after his Tibetan wife established the first of Yerpa’s chapels. 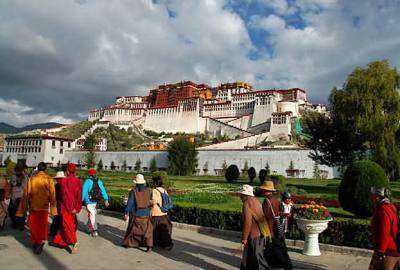 Day 07 :Departure from Lhasa to Nepal or further destination After breakfast at your hotel make the most of the last morning of your tour in Lhasa. Transfer to Lhasa Airport or Railway Station for next destination. End of service. 2 Nights deluxe room in 3 star hotel in Kathmandu with breakfast on double occupancy basis. 4 Nights deluxe room in ¾ hotel in Lhasa with breakfast double/twin occupancy basis . All breakfast during the tour in Nepal and Lhasa. Private transportation in Van/Bus in during the tour in Tibet. Experienced tour leader / co-coordinator with each group.